Bonnie Langreder, Charlie’s wife, attended the meeting. Welcome back to Cyrilla Galbreath, who has been gone for four months for medical reasons. Ken Oster worked at home this weekend. His wife had been out of two the last two weeks in Henderson, Nevada, helping her sister, who recently had an operation on her shoulder. Her sister had been improving at home, but had a medically-related issue and was back in the hospital. Ken’s wife will be coming home next Monday afternoon, and he looking forward to her return. Steve Winters selected Charlie Langreder. Sign In or Pay the Pig. Carl Scott paid the pig. He shared there was $9 in the pig last week; up to $120 donated. We are close to reaching 500 quarters. Mary stated social dues are due now for the 2018-2019 year. Dues are $80.00. 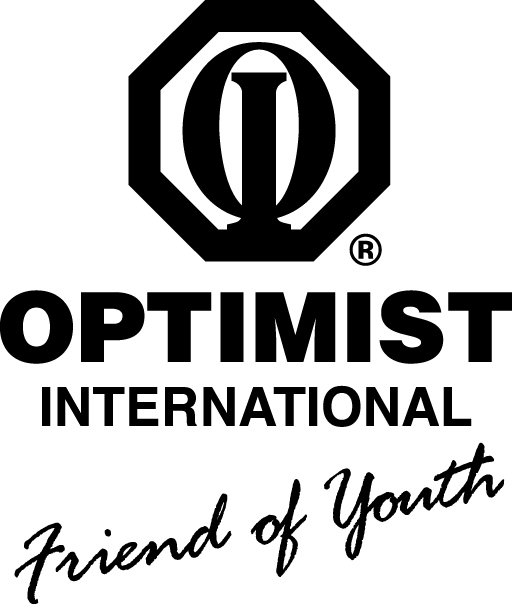 This is the Internal Optimist Club 100th We are trying to bring new members in this year. Reminder- Educators current and retired and under 30 years old may only pay $30.00 for 2018-2019 year. Upcoming Board Meeting Thursday, October 18, at 6:00 p.m. at the DO Clubhouse. President Dewey stated the First Quarter Easter MO District Conference is November 2 and 3, 2018 at the Quality Inn in Festus, MO. Please let President Dewey know if you wish to attend. Food Bank – Jim Murphy stated they worked with packing Corn Flakes. Cyrilla let us know about Dottie Stoerker-Peters is at Rusk Rehabilitation. President Dewey stated Jim Beckett was taken to the Hospital on October 12. Jack Cruise stated John Sapp is due to have surgery at Barnes. He asked John if any of the Downtown Optimists can help with anything at his home during this time, and John said his neighbors are helping out. C. O. Scheffer stated the first package of tree-related items including price tags is due to arrive today or tomorrow. He sent President Dewey a proposal for tree prices-prices are going to be increasing. Two trucks will be delivering Fraser Fir Trees on Saturday, 11/10/18 at 10:00 a.m. and 1:00 p.m. The remainder of the trees will be coming but a solid date has not been set yet. C.O. will be checking on Fraser Fir sizes to assist in determining where trees will be placed at the site. Steve Winters added the MU Baseball Team will be assisting with the unloading of the trees. Burgers and Hot Dogs will be served. Jim Murphy stated a clean-up day at the clubhouse grounds in preparation for Christmas tree sales will be on Saturday, 10/20/18. It starts at 9:00 a.m. and should only last 1-2 hours. The purpose mainly is to move tree stands to allow for work in the shed. Sid Sullivan asked about the status of the DO Clubhouse shed roof repair bids. Mary Dewey indicated the Downtown Optimist Club will be going with the Martin Metal-Lumber-Trusses Building group on repairing the shed roof. The shed roof repair will be completed by the end of this month in time for the Christmas tree deliveries. There is a 10-year warranty on the repair. President Dewey reminded members of the upcoming Shrimp Dinner on Tuesday, 10/30/18. . The cost is $10/person. Please contact Steve Winters, Larry Fick or Mary Dewey by 10/22/18 if you plan to attend the shrimp dinner. Larry needs to know the number of persons attending to plan for the amount of food needed. Steve Winters gave a Koeze Nuts/Restaurant Gift Certificate update. He stated $24,860 has been collected in combined sales of Koeze Nuts/Restaurant Gift as of this date; about $4,000 ahead of last year. First order is due 10/24/18. November 5, 2018 is the first date the items can be picked up. Gift cards will be brought to the luncheon meeting. You can pick up the Koeze Nuts orders the first Thursday in November. Once the Nuts arrive they will need to be sorted, inventoried, pulled and bagged for distribution. Carl announced today Ronald McDonald House is doing an annual fund raiser. So if you have extra change please go to your McDonald’s Restaurant to place in containers for the Ronald McDonald House. It is called “Day of Change” fundraiser. Mariquet is a Special Education teacher with Columbia Public Schools (CPS). Mariquet provided an overview of Autism Spectrum Disorder (ASD) and direct instruction to support children with ASD in the school setting. Mariquet provided a description of ASD as per Centers for Disease Control (CDC). ASD is a developmental disability that can cause significant social, communication and behavioral challenges. Persons with ASD may communicate, interact, behave and learn in different ways from most individuals. Persons with ASD may range from being gifted to experiencing severe challenges; with needs for assistance with activities of daily living varying from individual to individual. Mariquet also provided a summary of areas looked at to determine Autism as per the DSM-5. This includes such areas as persistent deficits in social, communication and interaction across contexts. Symptoms can cause significant impairment in social, occupational, or other important areas of functioning. These must be evident in childhood (recognized by age 3). And, the person may have restricted, repetitive patterns of behavior, interests or activities. There are about 300 Kindergarten through 12th grade students within CPS with Autism as a primary diagnosis. Some of these students may have a 504 plan for services, and others may not need services at all. Other students may have Autism as a secondary educational diagnosis. Educational supports range from the student not needing special education to needing a district-wide classroom. This involves a smaller student/teacher ratio, and more structured with ability to support the student in both the general education and special education setting. Goals for educating students with ASD include academic goals, post-secondary goals, social skills and pragmatic language.